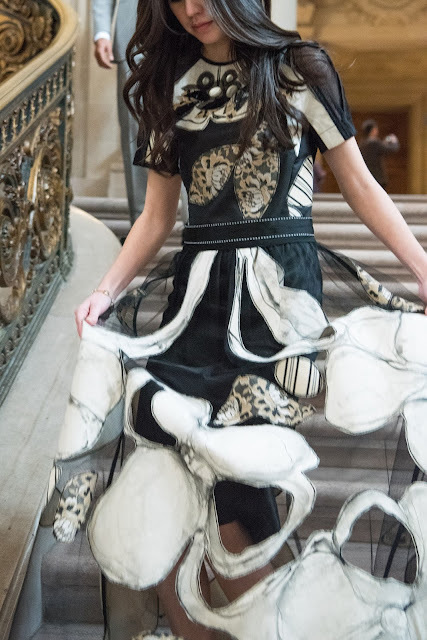 This outfit is full of pieces that punch above their weight. First up, this awesome J. 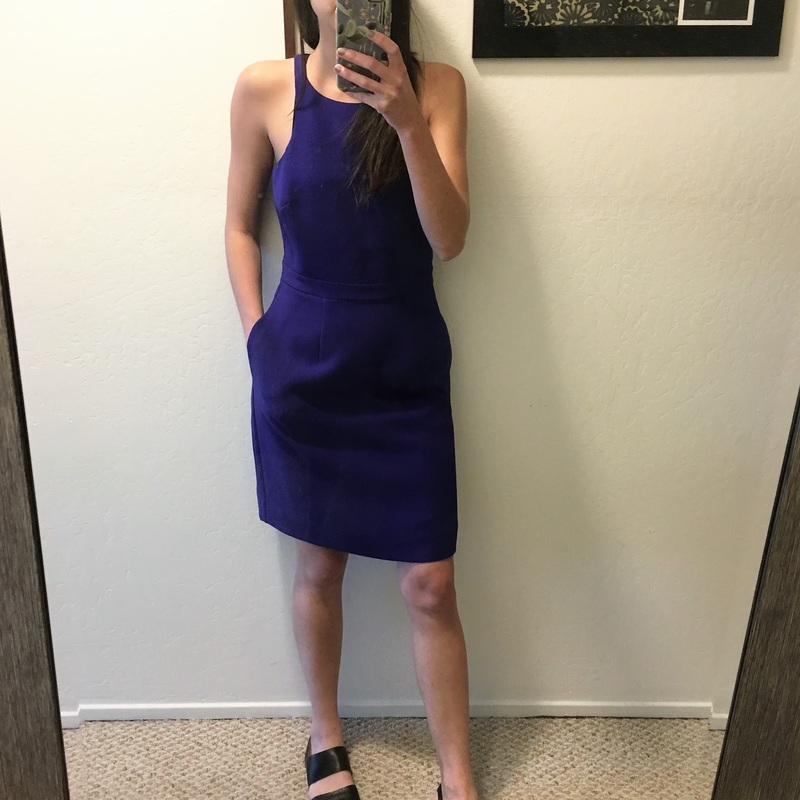 Crew dress that I bought in-store year's ago for $35. Yup, $35. I put it on and it fit so well I bought one in black, and one in blue. 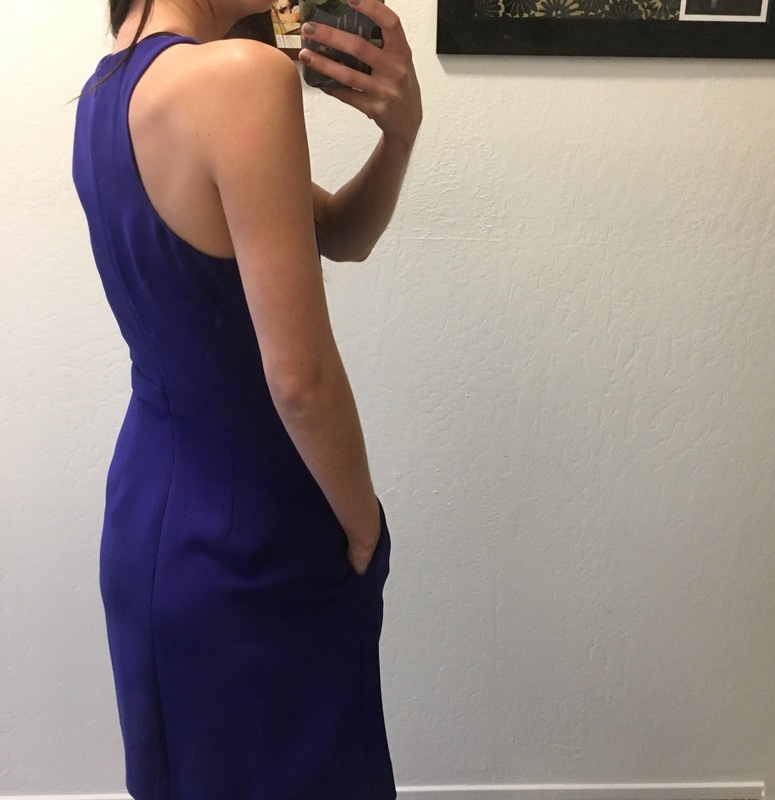 It is fully lined, has an interesting back, and it has pockets. 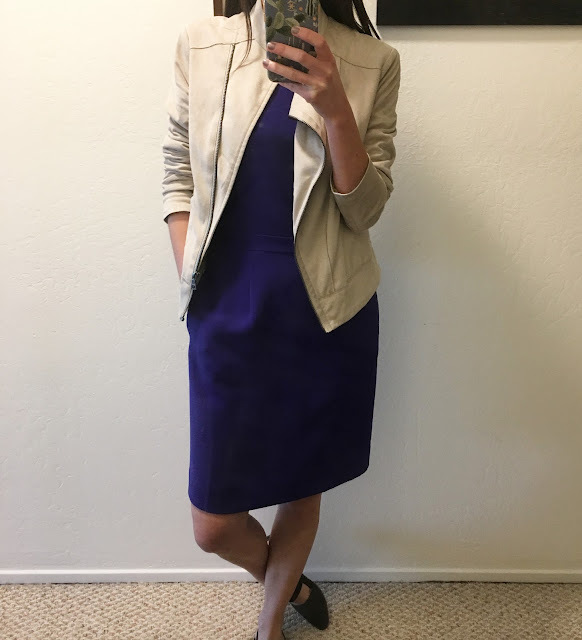 I've dressed it down with a black blazer and heels for work, and added a leather jacket and statement shoes to wear to a wedding. This angle was surprisingly difficult to take. The faux-suede jacket is from a collaboration that Elie Tahari did with Kohl's back in 2014. I saw a photo of Jaime Chung wearing it, on people.com I think, and I went and purchased it that day, which was unusual, because I had never really thought there was a hole in my wardrobe that necessitated a tan jacket. This one worked out beautifully though, and I wear it all the time, and although it has held up well over the past two years, it is unfortunately starting to fray a bit. I hope it hangs in there for a few more years, or that Jaime Chung brings me new jacket inspiration. 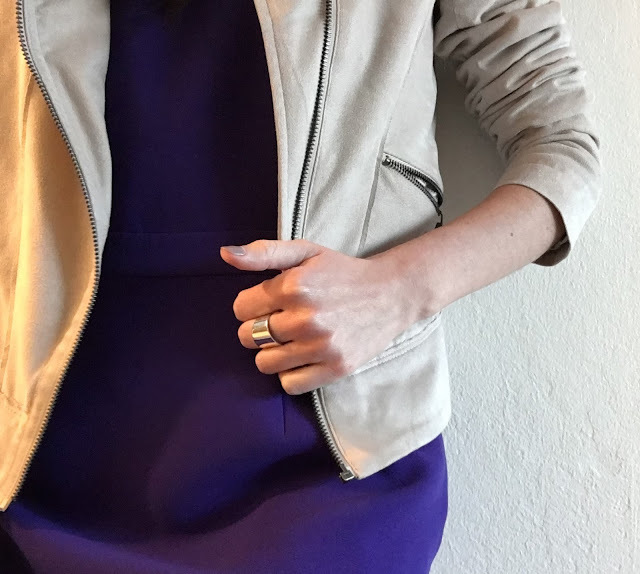 I rounded off the look with a bold (ok, let's be real, still pretty minimal and understated) ring (which is made in LA), and some interesting and comfortable flats (which I wrote about in this post).